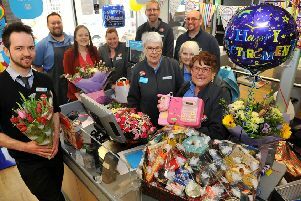 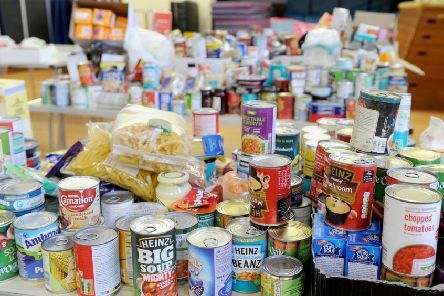 Shoppers gave generously when Worthing Foodbank held a collection in Sainsbury’s at Lyons Farm this month. 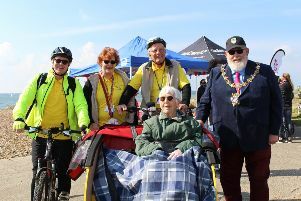 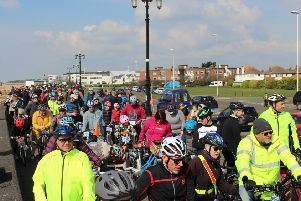 Hundreds of cyclists gathered on Worthing seafront on Sunday for Guild Care’s biggest Pedal Along the Prom yet and so far, more than £3,000 has been raised for the Worthing-based charity’s work with children and adults in need. 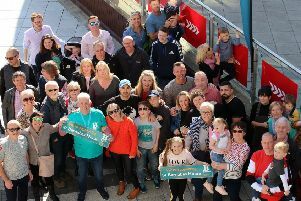 Daredevil Doug Astle has abseiled 320ft at the age of 72 as a tribute to his late wife, on her birthday. 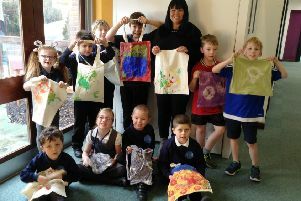 Children at Herons Dale Primary School in Shoreham have been busy decorating cotton reusable bags in an attempt to reduce the number of carrier bags being taken into school. 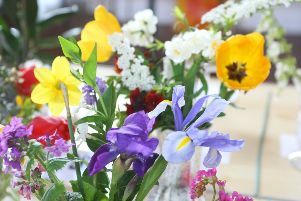 Beautiful blooms, vegetables and bakes were on display at East Preston and Kingston Horticultural Society’s annual spring show on Saturday, as villagers showed their gardening and baking achievements, filling the Conservative Hall with colour. 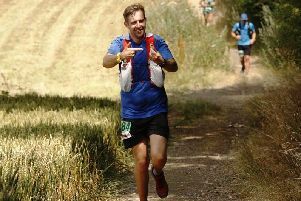 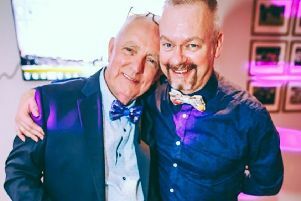 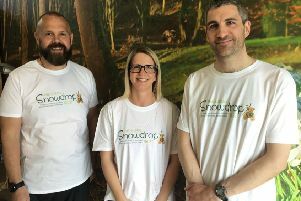 A Worthing man has named a rose in memory of his late husband and hopes it will help raise money for two cancer-related charities. 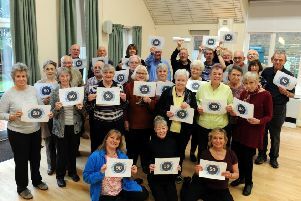 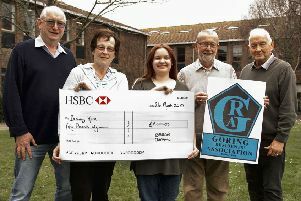 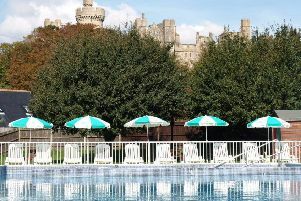 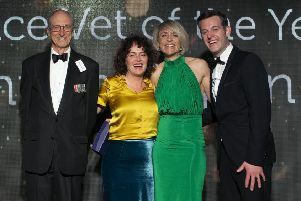 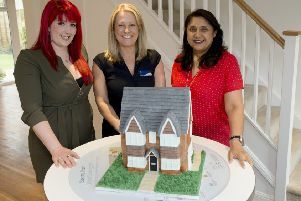 Goring Residents’ Association has chosen the winner of its competition to design a new logo. 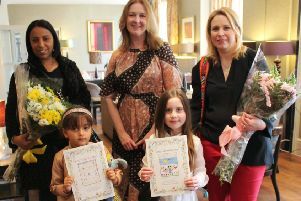 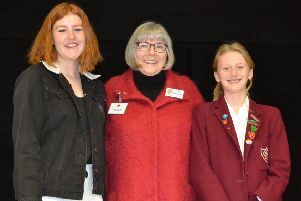 Two students at Our Lady of Sion were awarded first place in Worthing Rotary Club’s Young Writer competition. 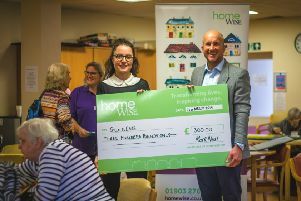 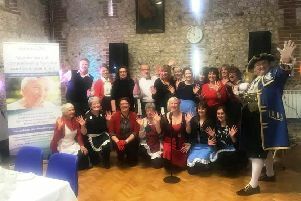 Music makers was the theme of BBC One’s Songs of Praise on Sunday and what better place to film it than Guild Care’s Bradbury Wellbeing Centre in Worthing.